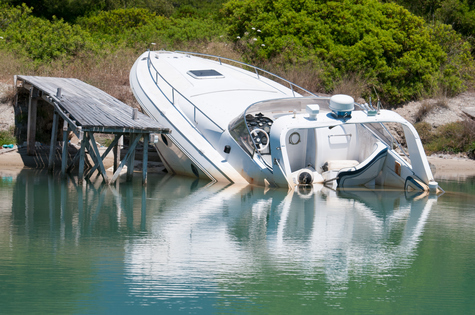 Injured in a Boating Accident in Morgantown, WV? If you have suffered serious injuries as a result of a boat or water sports-related accident on Cheat Lake, Tygart Lake, or anywhere within West Virginia, contact Angotti & Straface Attorneys at Law L.C.. Our law firm has been successfully representing victims of negligence pursue legal action against at-fault parties in a wide range of personal injury claims since 1952. As the victim of a boating accident, you may be entitled to compensation for medical bills, lost wages, pain and suffering, and other losses. If you have suffered a catastrophic injury, our law firm will work diligently to help ensure that your medical and personal care expenses are covered now and into the future. Our team of dedicated investigative, medical, and rehabilitative professionals will help reconstruct the incident to establish liability, as well as accurately determine your prognosis. Do not wait. Contact our personal injury legal team today. You will work directly with your attorney throughout the entire process, with the full backing of our research and administrative team to achieve the optimal result for your case. Injured in a Boating Accident Due to Negligence or Reckless Speeding? You must remember that the insurance company is not working in your best interest. When injuries occur during recreational activities such as boating or riding a motorcycle, these companies tend to argue that you assumed the risk of injury by knowingly participating in a potentially dangerous activity. That claim is bogus, as all activities pose some inherent risk, and you should not be liable to pay for medical expenses and other losses incurred as a result of someone else’s negligence or reckless behavior. Our law firm backs you fully from the time we accept your case until we secure a settlement or judgment in your favor. For a free evaluation of your claim, residents of Parkersburg, Huntington, Charleston, Wheeling, Morgantown, and throughout West Virginia can contact Angotti & Straface at: (304) 292-4381.